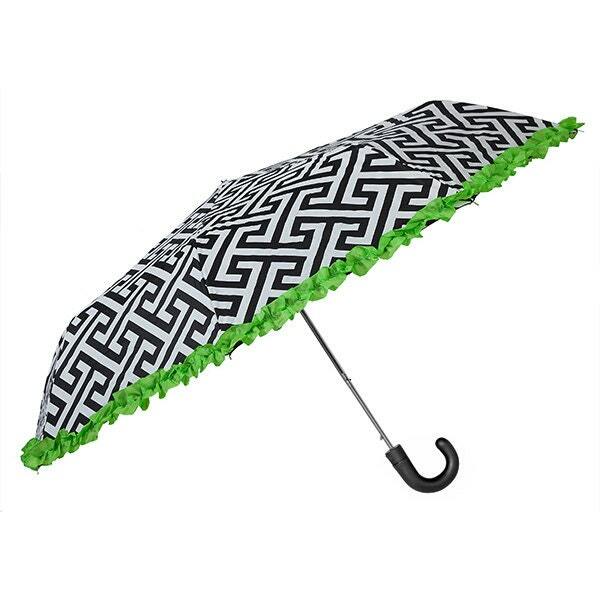 Lovely full-sized umbrella with ruffled trim and curved rubber handle features auto-open button and sturdy steel frame. 36 inches in diameter when opened and 13 inches tall when folded. Perfect to fit in your purse or bag! Great as a bridesmaids' gift, for Mother's Day, or for yourself!